That’s a ‘bit of a stooshie’ as they might say in Glasgow 1. Somewhere in the middle of that brawling mass of workers is a queen. She’s unmarked and not clipped. This was a surprise as the queen I had expected to find in the box should have been marked blue 2. The colony had overwintered with a 2016 white marked and clipped queen. 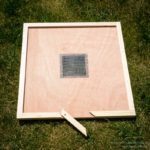 I’d conducted a vertical split on the colony in mid-May and by early July I had two queens in the box, one above and one below the split board. Neither of them was marked white. 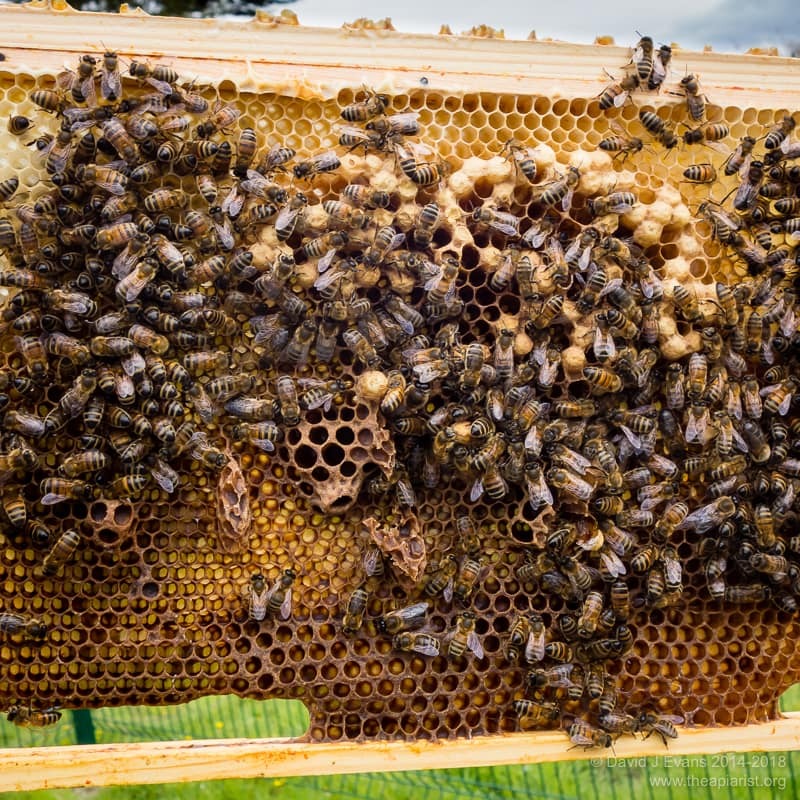 A few days after setting up the split the queenright half looked very much like it was preparing to either supercede the queen or swarm. The white marked queen was still there but there were also charged queen cells present. Either supercedure or swarming should have eventually resulted in the queen being replaced. However, the quality of her successor could not be relied upon … she might have been great, but she might have been poor. The white clipped queen was pretty good and I didn’t want to lose her 3. I therefore made up a nuc with the ‘old’ white marked queen for safety and left the box with one charged queen cell. 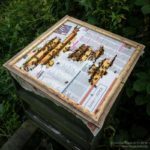 The upper and lower boxes of the split both eventually – by early July – contained new queens, both of which I’d marked blue and clipped. 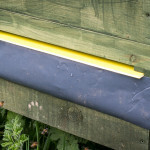 On the 7th of July I made up a nuc for overwintering with one of the blue clipped queens. 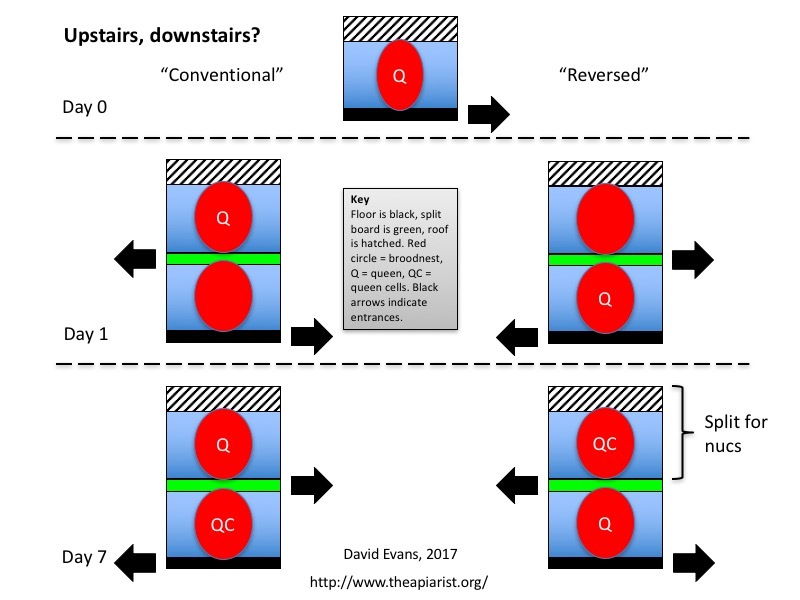 The remainder of the – now queenless – colony I united with the queenright colony below it from the original vertical split. This formed one good strong colony. 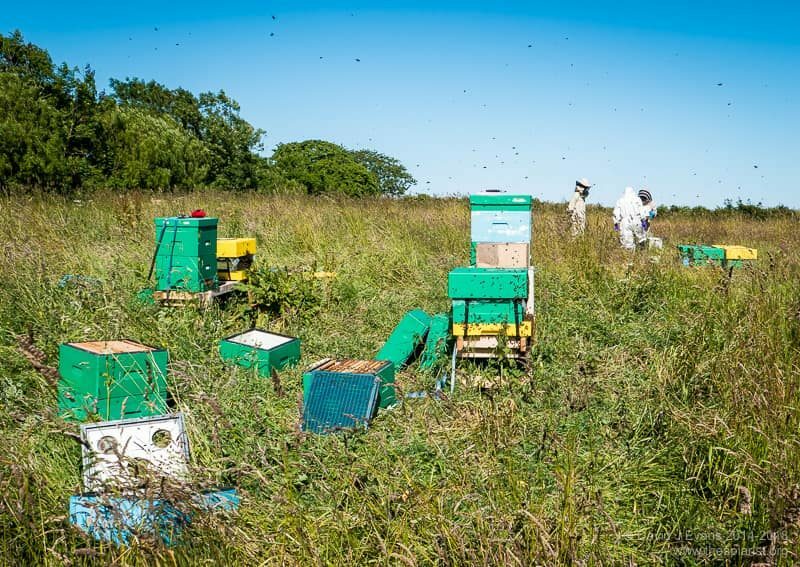 We had an excellent nectar flow in July and I got two full supers from the colony by the end of the month. Nine days after making up the nuc and uniting the colonies I conducted a follow-up inspection. 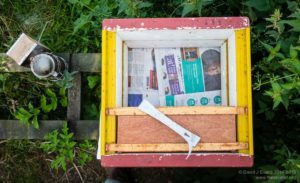 The newspaper was chewed away and most of the bees were behaving as normal. So far, so good. However, on one frame the bees were agitated and formed a gobstopper-sized clump. I gently teased apart the melee with my forefinger to see if there was a queen buried in the middle … there was. A little further across the same frame was another queen. To paraphrase Monty Python, this queen was not ‘stunned’ or ‘pining for the fjords’, rather she was very much an ex-queen. And probably relatively recently. So, as expected, I’d found the 2018 blue-marked and clipped queen in the united colony. 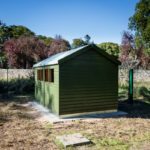 What was going on in the colony? Frankly, I didn’t have a Scooby’s 4. 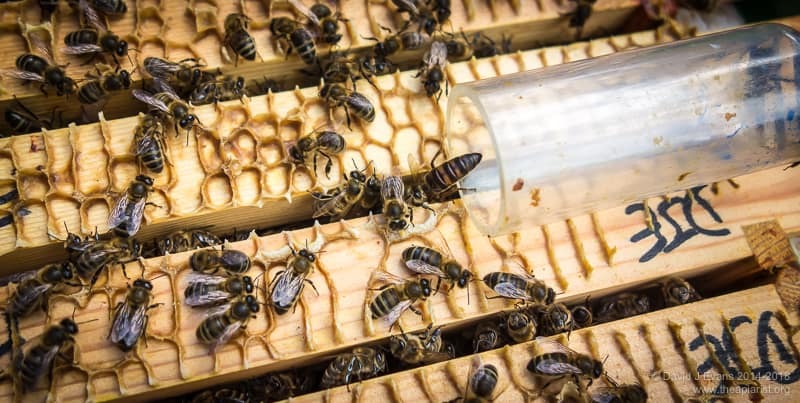 Was the (apparently) new, unmarked queen mated or a virgin? Presumably the latter. 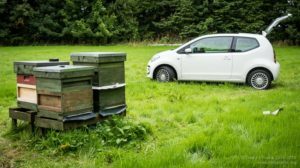 However, other colonies in the apiary were requeening and it’s not unknown for a queen to go to the wrong hive when returning from a mating flight. Would she survive the aggravation she was receiving from the workers in the colony? Where had the new queen come from? If not from outside she must have come from a queen cell in the split hive. However, both sides of the split had new 2018 mated queens, and the timing wasn’t really right. 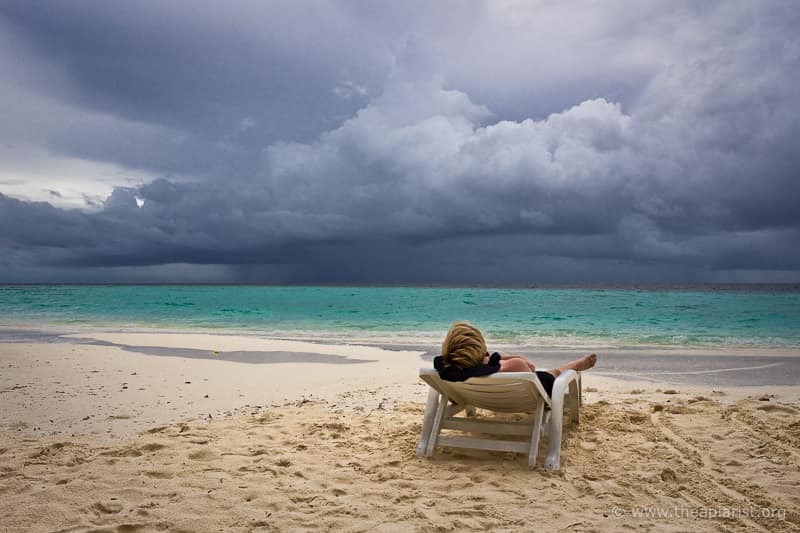 Under these circumstances the best thing is often to do nothing. I closed the hive up. My notes simply state “Dead BMCLQ! Virgin?? Left them to it.” 5. 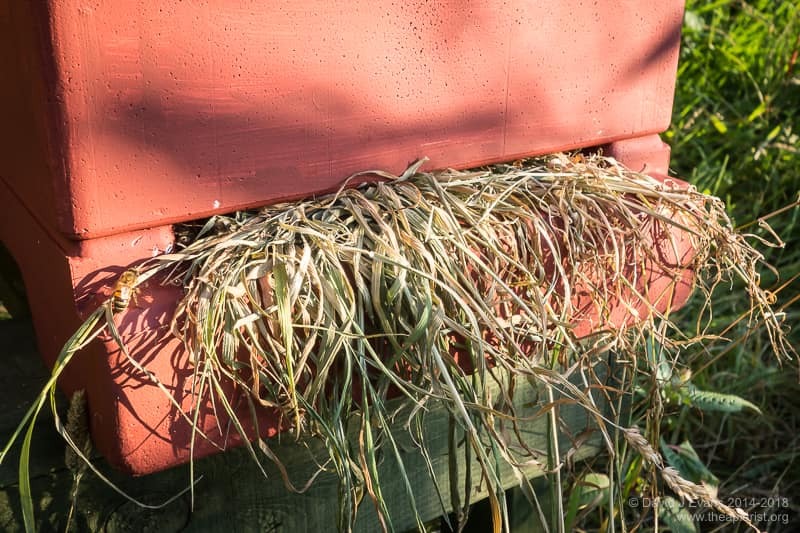 Much as I’d like to be able to report that now, a month later, the colony is headed by a new mated queen laying frame after frame of worker brood … I can’t. At the last inspection 6 the colony only contained several hand-sized patches of brood. However, it was all drone brood in worker cells. 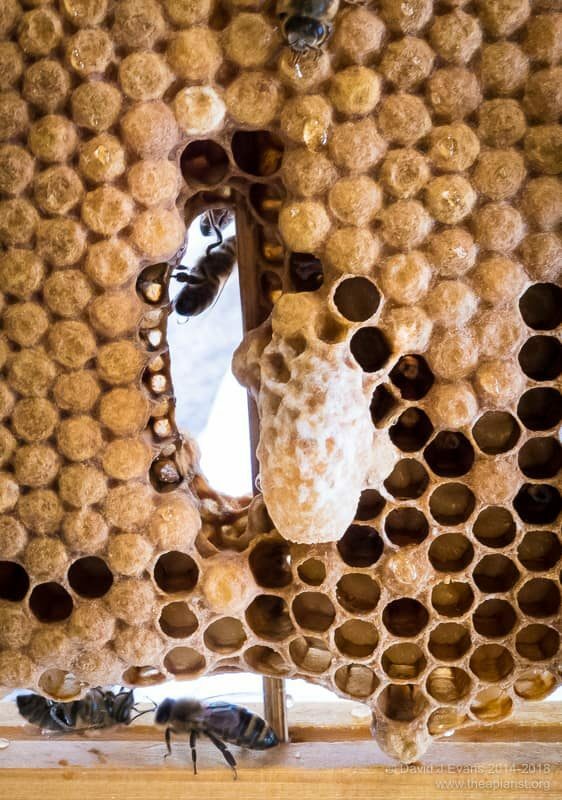 The combination of drone brood in worker cells, with their characteristically domed cappings on sealed brood, coupled with the clustered arrangement of the brood clearly indicated that the colony contained a drone-laying queen (DLQ). Within the patches of drone brood were one or two attempts to make queen cells. These were abnormally shaped – either short, fat and unsculpted or overly long – and are often seen in colonies with DLQs or laying workers. It’s too late in the year (here in Fife) to get a new queen mated – at least with any certainty. 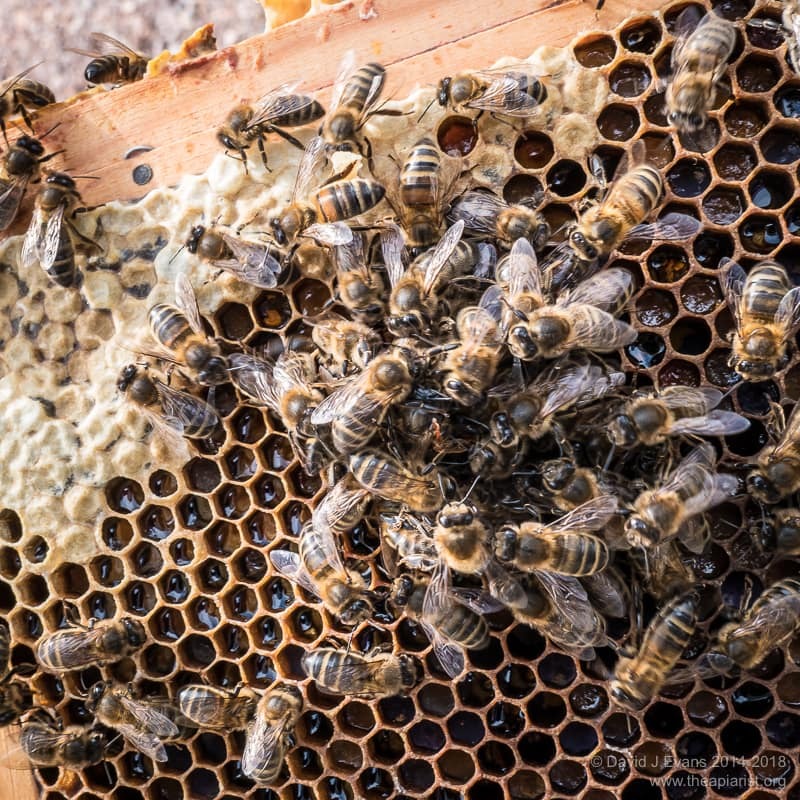 The bees in the colony were old and their numbers were much reduced. I therefore cut my losses and shook the colony out in front of a row of strong hives. It’s difficult to see where things went wrong with this colony, or what I could have done to rescue the situation. Perhaps the timing of my inspection – presumably very soon after the blue queen was killed – distressed the colony, causing them to ball (and possibly also kill) the new queen. Sufficient time then elapsed for the colony to rear a new queen (~16 days) from the eggs or larvae originally laid by the blue queen. However, this queen – who I never found – was either unmated or unsuccessfully mated and was a drone layer. So, if in doubt … wait. Particularly if it’s not clear what else to do. 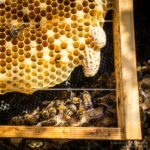 This entry was posted in Beekeeping, Queen failure, Uniting on August 17, 2018 by David. 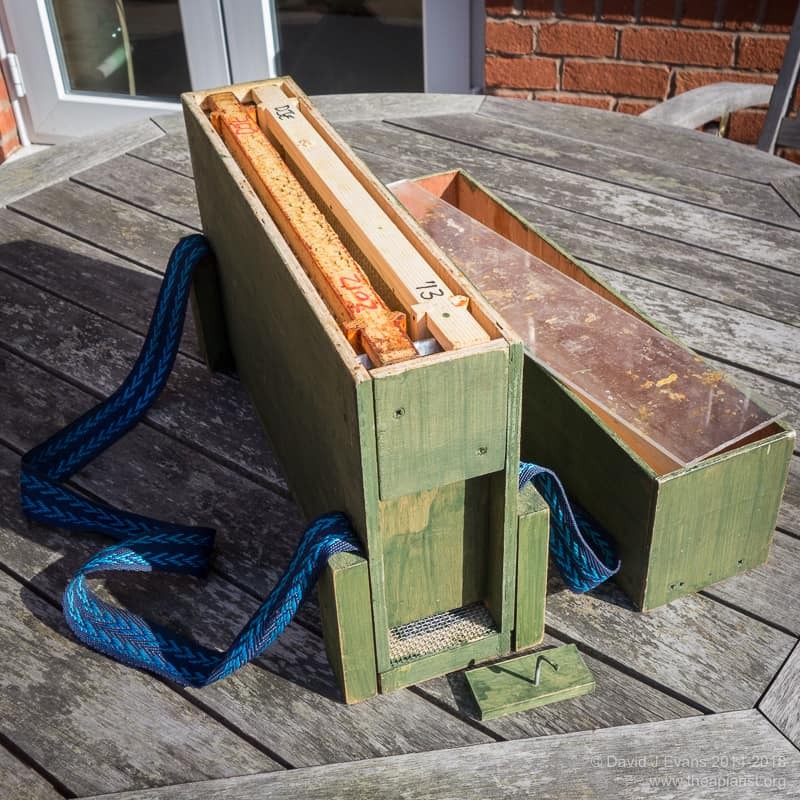 A swarm turned up in a bait hive built from two Paradise/ModernBeekeeping poly supers a month ago. 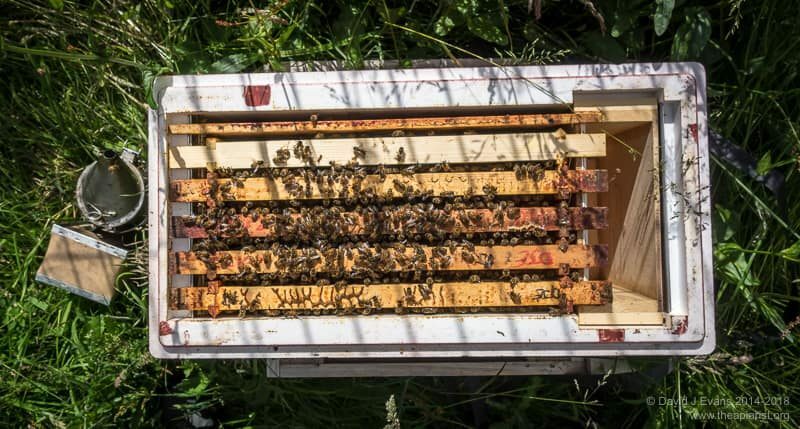 The bees were steady on the comb and the dark queen was laying reasonably well. In the same apiary I had a failing queen in a colony in a double brood box so decided to unite them with the swarm. I’ve done this many times before … what could possibly go wrong? 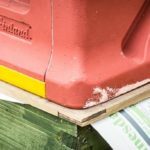 Since these poly boxes are non-standard you need a thin wooden shim or eke, a bit larger than a National box, to stand them on. 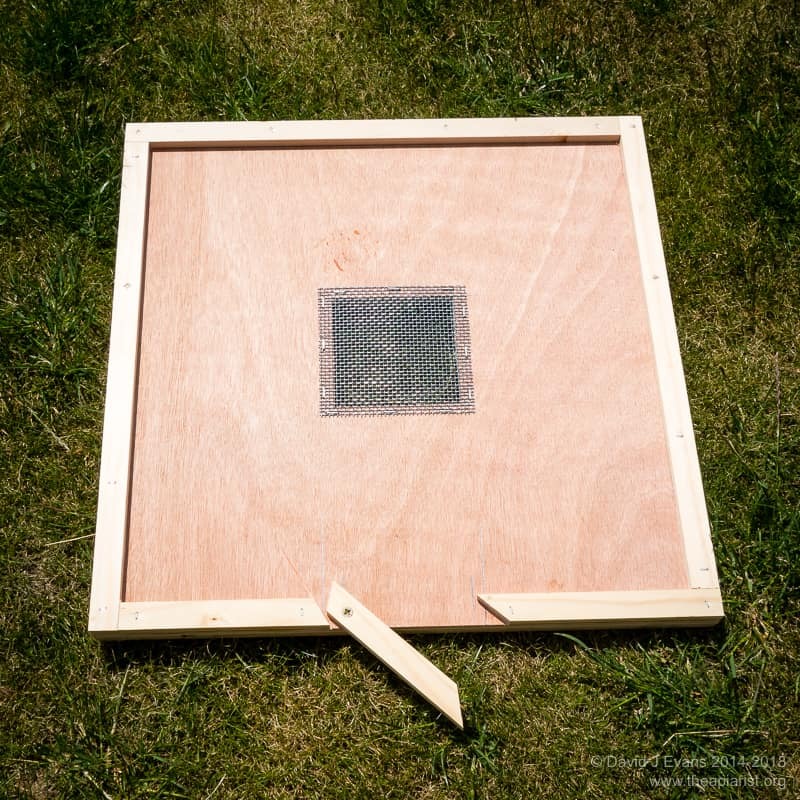 I moved the queenright swarm on top of the de-queened hive, separated by a sheet of newspaper with a couple of small holes made with the hive tool. 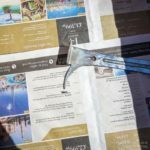 After a few days there were scraps of chewed up newspaper outside the hive entrance and bees were apparently moving freely through the holes with no sign of fighting. 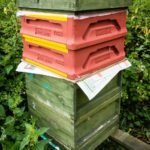 Despite being a shoulder-high stack of boxes, there were only a moderate number of bees in the hive. The failing queen had been laying slower and slower and the swarm had been covering perhaps six or seven frames. 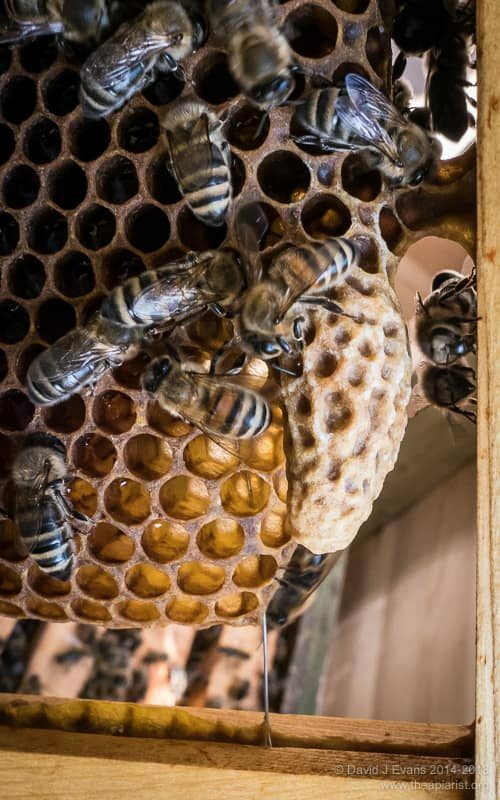 I therefore rearranged the eggs, larvae and sealed brood into the bottom box, making sure the queen was with them, before adding a clearer board underneath the remaining boxes. On checking the colony a week later it was clear that all was not well. There were no eggs in the bottom box and no sign of the queen, but loads of freshly sealed queen cells. Grrrr! I suspect I’d been a bit hasty in rearranging the colony. 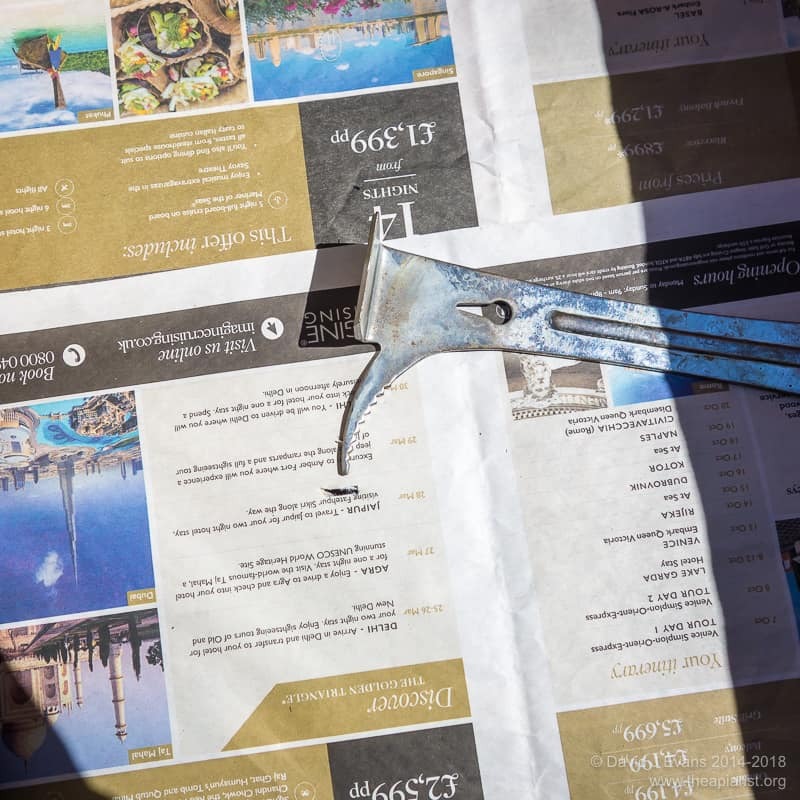 Perhaps, despite the holes chewed through the newspaper, the workers weren’t mixing properly and the queen had still been ‘protected’ in the upper box. In my defence, I was a bit pressed for time preparing colonies for moving. 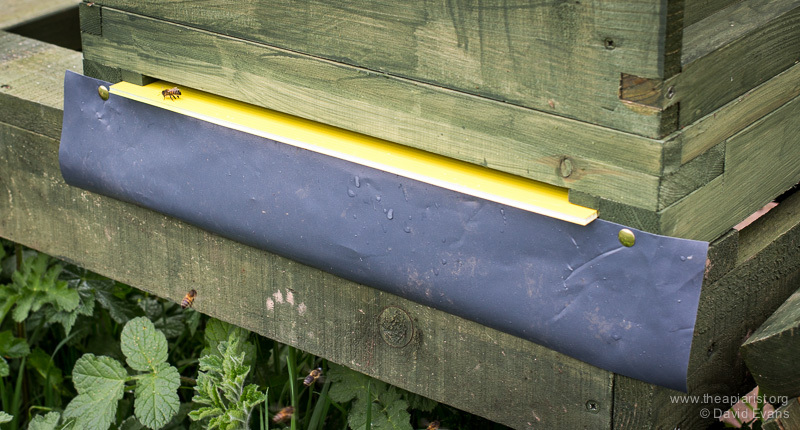 Alternatively, the requirement for the shim to unite these Paradise/ModernBeekeeping boxes (with standard Nationals) means the boxes are – of necessity – more widely separated than usual, possibly restricting the mixing of bees. 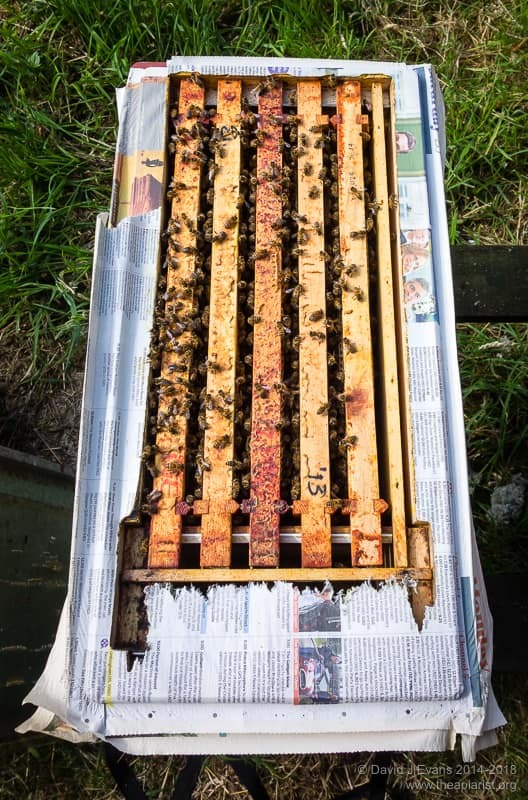 However, here’s a photograph of a poly nuc that I united at about the same time – the bees have removed almost all the newspaper between the boxes. Since these nucs are Langstroth sized, when filled with National frames and stacked the spacing is very wide, suggesting it was my haste in combining the boxes that caused the problem. All scientists know the importance of doing a controlled experiment so I shook through the colony containing queen cells and ensured I’d destroyed all of them (a colony is unlikely to accept a new queen – certainly during normal queen introduction – if there are queen cells present), then added more newspaper, the shim and the two poly supers. 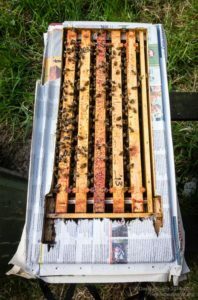 Using a fat dummy to fill up some of the space I added the contents of a spare five frame nuc containing a laying queen and left them to get on with it. 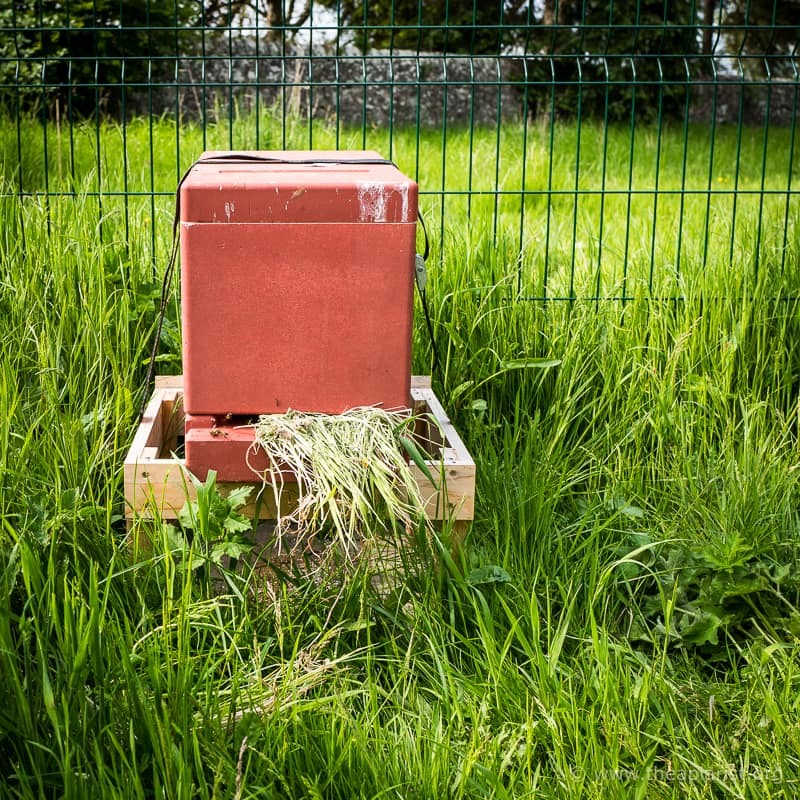 This entry was posted in Beekeeping, Uniting on August 1, 2015 by David.